There are many essential steps in my skincare routine. One of those is using a toner every day. It may not seem like much, but using a toner makes a huge difference in the condition of your skin. The Jericho Dead Sea Toner has given my skin a refreshing balance both day and night. I love how gentle, yet effective the formula is on my skin. With fall coming up, it's a great time to revamp your skincare routine. The Jericho Dead Sea Toner is suitable for normal skin and is gentle enough even for sensitive skin. My skin is sensitive and leans more combination this time of year, but this toner has worked wonders for me. I had several no-makeup days when I wasn't feeling very well and aside from moisturizer, this was the only thing I used on my face. My skin felt clean, refreshed and hydrated. 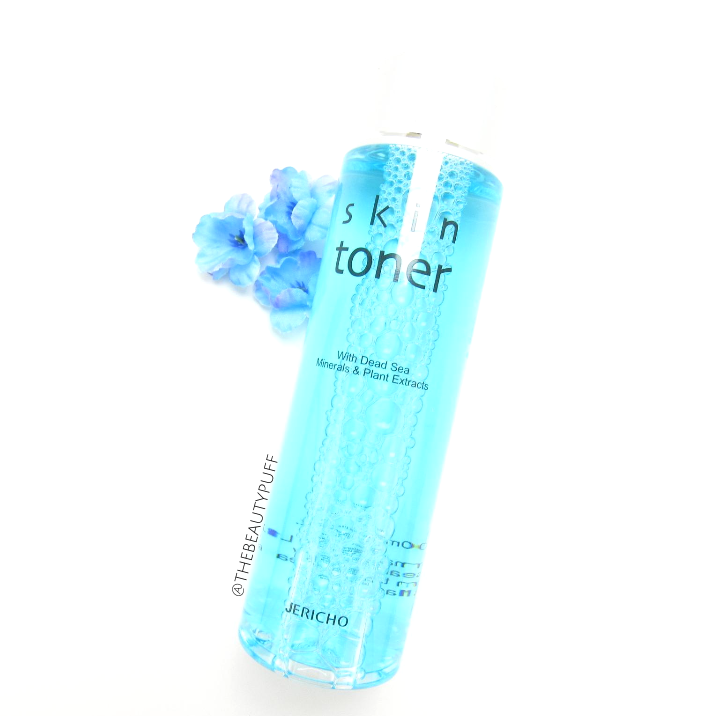 Key ingredients in this toner include aloe vera and dead sea minerals which provide natural, yet effective cleansing. It was very soothing and left no residue on my skin. I used this toner in the morning as well as at night to give my skin a boost prior to moisturization. Not only did this toner keep my skin refreshed, it also did a great job at removing makeup at the end of the day. I found it to be really useful removing residual eye makeup my cleanser had left behind as well. If you are looking for a new toner for the cooler weather or haven't incorporated one into your skincare routine, be sure to check out Jericho skincare. I'm really impressed with this product and it's only the first I have tried from their line! You can find this toner along with other skincare, body care and haircare products by Jericho on the Notino website below!